Ever since Dr. Baumwoll had braces as a teenager, she has wanted to practice orthodontics. Dr. Baumwoll received a Bachelor of Arts degree in Psychology from the University of Michigan in 2003. She then attended the University of Medicine and Dentistry of New Jersey where she received her Doctorate of Dental Medicine and graduated in the top of her class in 2007. Dr. Baumwoll was honored as a member of Omicron Kappa Upsilon, the National Honor Society of Dentistry. Upon graduation, she was also awarded the American Association of Women Dentists Award and the award for the student with the greatest interest in orthodontics through the American Association of Orthodontists. 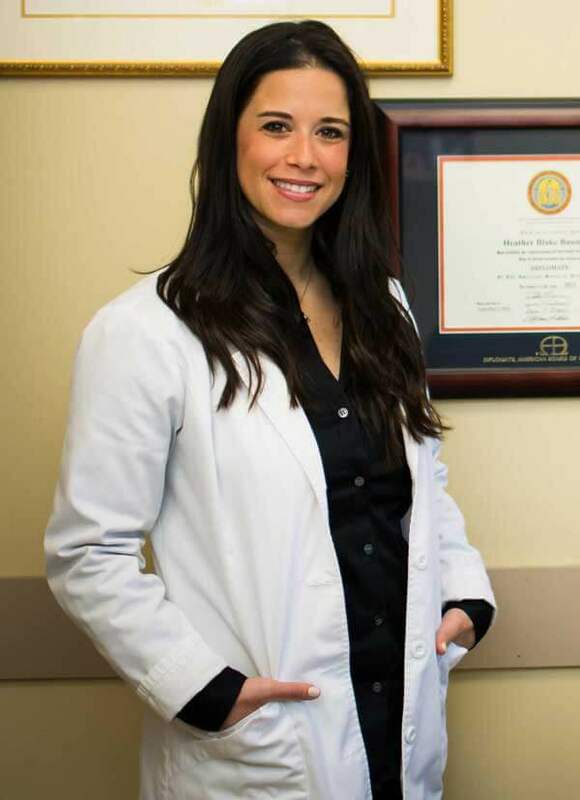 Immediately after graduation, Dr. Baumwoll went on to complete a rigorous, three-year orthodontic residency in 2010 at Montefiore Medical Center, a hospital-based program at one of New York’s top hospitals, which allows her to treat even the most complex orthodontic cases. During her three-year residency, Dr. Baumwoll distinguished herself through her excellent skills, wide breadth of knowledge and compassion for her patients. Dr. Baumwoll is board-certified as a diplomate of the American Board of Orthodontics and has been asked by the American Board of Orthodontics to present some of her distinguished work at the annual orthodontic meeting. Dr. Baumwoll is an active member of the American Association of Orthodontics, the New Jersey Association of Orthodontists, the Middle Atlantic Society of Orthodontics, the American Dental Association, the New Jersey Dental Association and the Tri County Dental Society. She is also an active member of a local study club, the Seminars for the Advancement of Dental Excellence, a group of specialists and general dentists who work together to stay up-to-date on the latest advances and techniques in dentistry. Dr. Baumwoll has been recognized for various honors, including: NJ family’s favorite kids’ doc, NJ Monthly’s top dentist, and as a top dentist in Morris County by Morris/Essex Health and Life. She is always adding the newest technologies to her office and is happy to offer her patients digital impressions, Invisalign, ceramic brackets, as well as traditional orthodontics to make their experience as comfortable and efficient as possible. Dr. Baumwoll grew up in Randolph, New Jersey and feels so lucky that she is able to be back in her hometown doing what she loves. She still resides locally with her husband, Gary, and their two young sons, Hudson and Jack. In her spare time, Dr. Baumwoll loves to travel and spend time with her closest family and friends.